Florida Senator William Augustine Shands was born on July 21, 1889. His family moved to Gainesville in 1901. Shands and his brothers attended the University of Florida in the early 1900s when Gainesville was just sand roads and a few buildings. As a member of the Kappa Alpha Fraternity, he played baseball and football for the university during a time when barely 200 people attended football games. He left school without graduating, which is something he regretted, and went into the fertilizer business in Gainesville. After marrying Catherine Hawkins in 1912 and moving to Alabama, he soon faced the tribulations of the Great Depression. 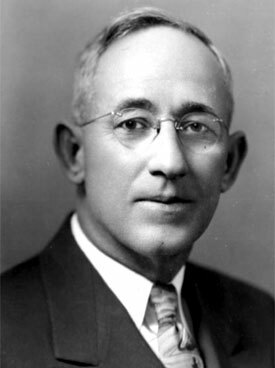 Doing anything he could to make ends meet, Shands eventually returned to Gainesville, where in 1928 he created the Gainesville Poster-Advertising Company. This became his stepping-stone into Gainesville politics. As a prominent member of the business community, Shands ran for City Council. He joined the Committee Charter Commission and was appointed a member of the Road Board in 1929. These experiences led him to return to school to study law to help further his business and political aspirations. After being elected a Florida Senator, he dedicated his efforts to enhancing the Gainesville community by building a teaching hospital. Though initially he needed convincing that such a hospital in a small university community would be more beneficial than one in a metropolitan area, he began to diligently rally support for a teaching hospital in Gainesville rather than in cities like Tampa, Miami and Jacksonville. Shands described UF as the center of Gainesville and believed that UF's success stemmed from the unified support it received from being located in a small community. The UF colleges of Medicine and Nursing opened in 1956. The UF Teaching Hospital opened its doors on October 20, 1958. In 1965 it was renamed in Shands' honor as W. A. Shands Teaching Hospital and Clinics. Photo of William Shands courtesy of Florida Memory.